The ‘responsibility’ part made me nervous; the ‘opportunity’ part excited me. Taking a seat in the lounge, I made a quick, momentary prayer to God. I had barely completed my thought when Swami responded in a startling manner. I began to hear the bhajan, “Omkara Roopini Janani Maa” in my most favourite voice - that of Ravi Bhaiya. I was thrilled and I turned around to see where it was emanating from. It was the ringtone of an elderly lady. Needless to say, a sweet Satsangh ensued and I felt the reassuring warmth of Swami’s love. The nervousness was gone, replaced by confidence in His Divine Plan. It was only excitement now. The flight was delayed by an hour. When it finally arrived, I realized that my seat, 34B, was in the last row and would lack the pushback ability of other seats. I didn’t want to curse my luck for I felt there was a reason why Swami had put me there. But then, things started to get a little bad. The guy on my right asked for alcoholic beverages and then for non-vegetarian food. I always like to believe Swami travels with me everywhere I go and I was finding it hard to see Swami in this person. “NO! I cannot touch non-veg food. I have specifically asked for vegetarian while booking my tickets”, boomed a voice from my left. Hearing him argue in Nepali with the air-hostess, I realized that there was no more vegetarian meals on board! It was exhausted and would we prefer fish or chicken? Now I cursed my fate and asked for some bread and butter. Mutual frustration kindled a conversation between me and the guy to my left. Imagine my surprise when I found out that he was the former youth-coordinator, Bishnu KC, for the SSIO in Nepal! The Conference commenced with a march by more than thousand youngsters through the busy roads of Halchowk. Another beautiful satsangh followed as I learned about Swami’s love for Nepal and the Nepali youth’s love for Him from Bishnu. I understood why Swami had arranged the seating in that manner for me. It was valuable prep for me before the conference. It was past 10:30 pm as Bishnu guided me out of the crowded Tribhuvan International Airport. I was welcomed by a radiant young man, Bhaskar Bhattrai, who took me to my room in his car. The streets of Kathmandu were vibrant with activity of the Rajasic and Tamasic types. Bars were in full swing and disco music was being served liberally. 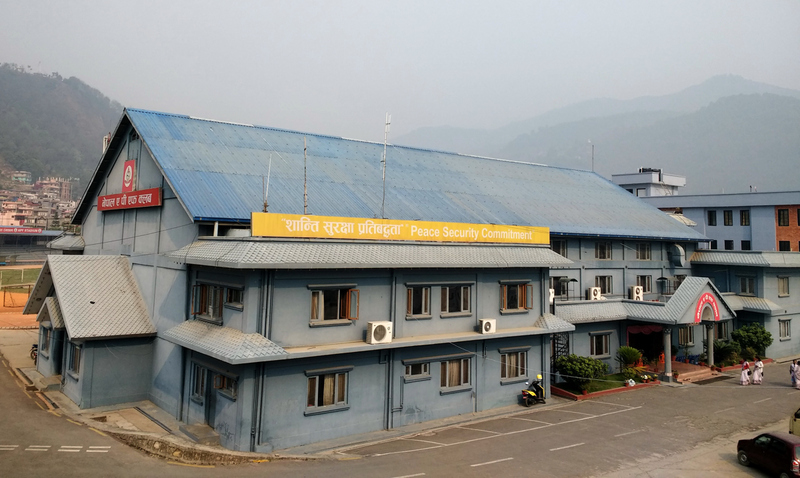 The next morning, we reached the venue at the Armed Police Headquarters in Halchowk, Swayambhu. The decorated venue amazed me. The miracle only grew in its magnitude and consequence when I realized that almost 75 percent of the youth participating in the conference had never seen Swami in their life! How did they accept Swami then? It has possibly got to do with the Sanathana Dharma (eternal culture) prevalent in the only Hindu nation in the world. All Gods are accepted here in complete faith. Nobody seeks proof for Vishnu or Shiva being gods. They are just accepted as Gods. So too, nobody seeks proof for Sathya Sai being God. Possibly they just feel Him and accept Him - blessed indeed! Most of the names mentioned in this article are present in this picture. To the extreme left are Mr and Mrs Karki. Mr. Amar Karki is the Central Coordinator of the SSIO Zone 4. A few of them though had their own introductory experiences. 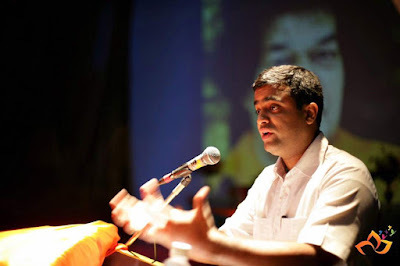 The country’s youth coordinator, Mr. Roshan Thapaliya, for instance, was not comfortable accepting an afro-haired Swami as God. He made ‘rational’ explanations for all the miracles that had been attributed to Sai Baba. When he was taken to a home where vibhuti was emanating from photographs, he said that there was a special chemical coating on those pictures which created the grey dust over time. He had no idea of what that chemical was but was convinced of his theory. That was when vibhuti began to flow out of the photograph in his own bedroom! It was a choice between convicting himself of a purposeless chemical-smearing crime or accepting the mystery of the divine. Roshan pledged his heart to Swami. He began to attend bhajans and the first sarvadharma bhajan he heard, sealed the deal. He was convinced that Swami was the absolute in human form. One of the comperes was the conference was Ms. Sabika Shrestha. Her experience is also interesting. As an eight year old girl, she had been very curious about a new building that was coming up near her house. She thought it was a church but was later told that it was a Sai Center, a name for another house of the same God! She was enrolled in the Bal Vikas classes where her teacher told her that Sai Baba was Krishna come in the Kali Yuga. The little girl had her doubts but that night, she had an unforgettable dream. She saw the little lad Krishna dancing on the hood of the monstrous serpent, Kaliya. As she witnessed the divine scene, Krishna changed from a blue lad to an orange-clad one with curly hair! Sabika had woken up with faith that Swami was indeed Krishna! As I got the opportunity to interact with and listen to many of the youth, such beautiful stories and incidents got revealed! 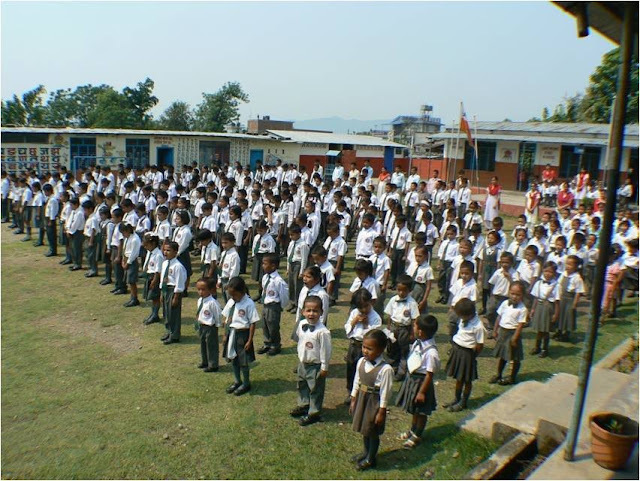 I was under the impression that I would be carrying the waters of Swami’s love to the youth in Nepal. But here, I found them swimming about happily in a pool of His love and they welcomed me also to dive right in! Little wonder then that the talks I delivered over the next couple of days became heart-to-heart dialogues with the youth that I shall cherish for a long time to come. It ended up making both - them and me - teary eyed with fulfillment, joy and love for Swami. The theme of the conference was about achieving individual and societal transformation through service done in a selfless manner (Transformation through selfless service). The key word here is ‘selfless’ because when it comes to achieving our selfish goals, we are ready to serve. But are we capable of service when it brings us no apparent benefits? One way of doing it is to consider everyone as part of the same family - with the feeling of the brotherhood of man and the fatherhood of God. I found a unique practice among the devotees of Nepal which, in my opinion, was helping them understand this truth of the whole world being the same one’s family. “All Sairams are now requested to rise...”! It was a sudden inspiration from Swami and I was grateful to Him for the insaight. 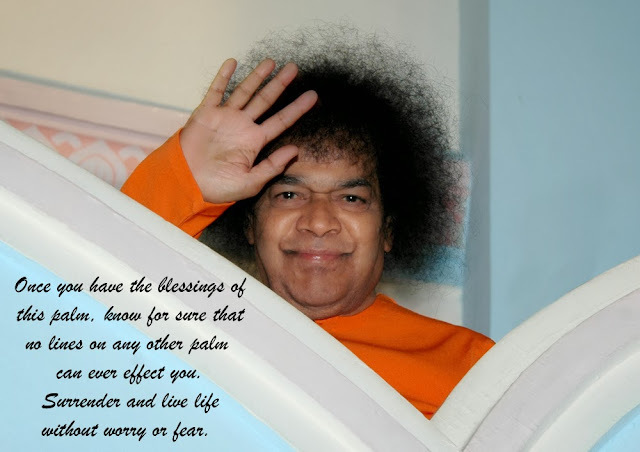 “Love is selflessness; Self is lovelessness”, says Bhagawan Baba in the most simple manner. To be selfless, one needs to develop love for God who is omnipresent in all things, living and nonliving. Such love makes one ready to ‘sacrifice’ anything for God. I have put the word ‘sacrifice’ in single quotes because in reality, it is never a sacrifice. A sacrifice is when you give up something higher and greater for something lower, not the other way round! When one realizes that God’s love is the greatest and highest that one can attain, nothing seems like a sacrifice. That was the spirit that echoed through the life and actions of the elders at the conference. And the youth easily understood that because nothing speaks louder than actions! When I spoke to many of the youth coordinators and members, I realized that they had great admiration for the elders who supported the youth’s enthusiasm and focussed their energies. I got time to interact in depth with only two of the elders. But their stories and life-experiences are excellent samples to show how and why the elders become ideals to the youth. Amar was among those people who had simply accepted Swami alongside the plethora of other gods like Ganesha, Shiva, Krishna and Vishnu! So, he rushed to his Swami at Whitefield with the thought that if He gave him an Abhayahasta, he would accept the ultra-lucrative offer. Bhagawan indeed blessed him during the darshan and Amar Karki found himself in a plush office at Baghdad in May 2000. Having gotten used to the corridors of power, the glitter of money now seemed to attract him. He frequently travelled between Baghdad and Kathmandu and it was around the same time that he was also made the vice-chairman of the Central Council of Nepal SSIO. One day, as he arrived early in the reception lobby of the UNDP building, the large doors were thrown open and a wiry man in military fatigue ran in brandishing two automatic machine guns. While the receptionist and his driver fled the scene, Amar stood rooted in his place with his hands raised up. “Are you an American”, the gunman asked in a gruff voice. The gunman seemed disappointed but he held on to his captive nevertheless. Then began the most terrifying three hours of Amar’s life. The security guards had been alerted and they began to surround the ground floor reception area, firing at it all the while. The gunman responded with a burst of bullets from his own guns. Amar was in the crossfire! In fact, the gunman began to use him as a human shield against the security personnel. With bullets whizzing all around him, Amar began to chant the Gayatri Mantra as he prepared for his last moments. This went on for three long hours after which the gunman suffered a momentary lapse of concentration. Using that to his advantage, Amar quickly slipped out of the door and ran towards the security room. The gunman dared not follow out of fear of being shot. The gunman finally surrendered and two people on the upper floors of the UNDP building had been casualties of crossfire. Amar found it hard to believe that he was alive.That was his birthday as per the Nepali calendar and he was convinced that it could have easily been his death day too! He decided that he had lead one life in pursuit of money and power. This new life would be for his Swami. He resigned immediately and returned to Nepal. In Nepal too, at a later date, he shut down his thriving import-export business (which is an entire story in itself) and took up responsibilities in Swami’s organization. When the youth see someone who ‘gave up’ for Swami all that the world could possibly offer, it is a powerful inspiration. No wonder that the youth members love him and seek guidance from him. Mr. Narottam Upadhyaya, the deputy Central Coordinator for the SSIO, Zone 4, has an equally amazing tale. He had served as the Registrar of the Tribhuvan University and was slated to be its next Vice Chancellor. 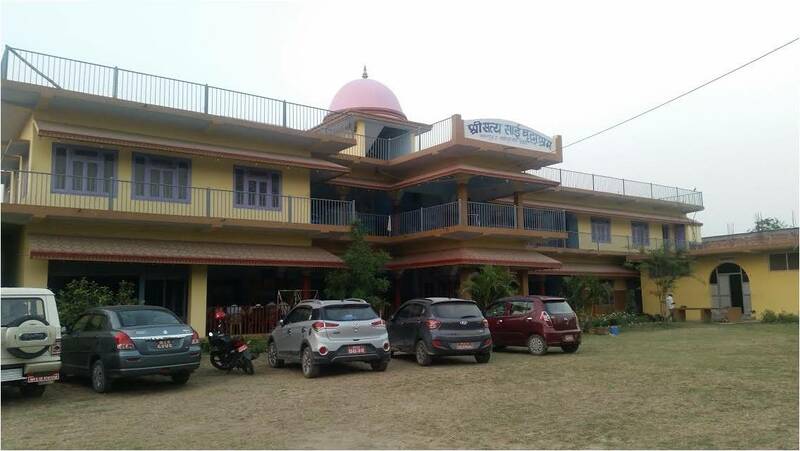 Around the same time, the Sri Sathya Sai Organization in Nepal was contemplating on starting a Sai school and Narottam decided to be part of his Swami’s mission. “For any good work, I am available”, he said. In 1992, the school was started and Narottam began to put in his time, energy and wealth into fostering the school. There is a joke of how a restaurateur wanted everyone to eat at his hotel but advised his children to eat at home. That is the scenario when it comes to many things that we profess to stand for. Narottam’s conviction in Swami’s system of education was such that his own daughter, Aarthi, became the first student of the school! That was the boost in the arm that Narottam needed and there was no looking back after that. He put in everything he had - time, energy and savings - working day in and day out for Swami. He earned the wrath of his own son who felt that his father was casting away an illustrious career for unnecessary service. The media too wrote about the foolishness of a person who was otherwise slated to be the vice chancellor of a University. The Sri Sathya Sai Shiksha Sadan today is the sought-after school in Kathmandu. Years have passed and today, the school stands on an impressive 4 acres of land (valued at 1 billion Nepali Rupees) with 450 children studying in it. Every bit of it has been built painstakingly and MOST IMPRESSIVELY, not even a paisa of donations or funds have been sought! Though there is no advertising, children from almost 52 districts in Nepal flock every year to seek admission into the school which builds character along with academic excellence. The fees in the school is almost a third of what is charged in other residential schools of Nepal. 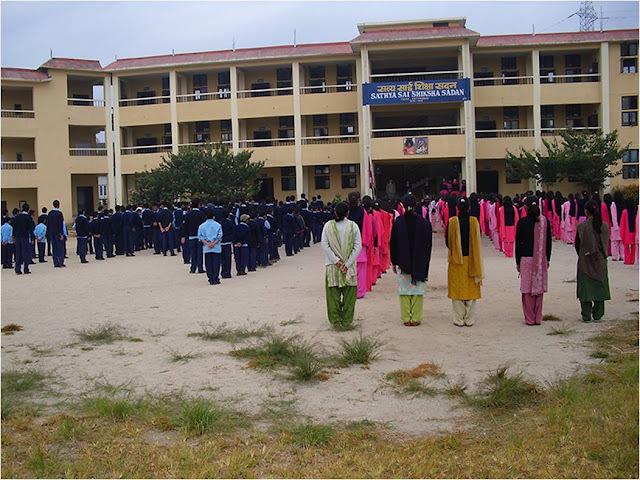 The schedule almost mirrors the one that Bhagawan has established for the Sri Sathya Sai Higher Secondary School in Prasanthi Nilayam. Such has been the impact of the school that this year, in 2017, EHV (Education in Human Values) has been introduced as a subject at high school level by the Nepal government! Dr. Narottam receives a decent pension from the government for his services in the University. Call it the beautiful twist of fate or good begetting good, University jobs became pensionable in Nepal in part due to the academic paper that he had submitted about the same years ago! With a smile on his face, Narottam goes about his work silently without a care in the world. “It is only when you want to get that you get worries. If you only want to give, then you will always be peaceful”, he says with loud laughter. When the youth see that in order to give, the only prerequisite is the will to give (and not money, power, influence etc), it is a powerful inspiration. No wonder that this spirit reflects in their service activities also. 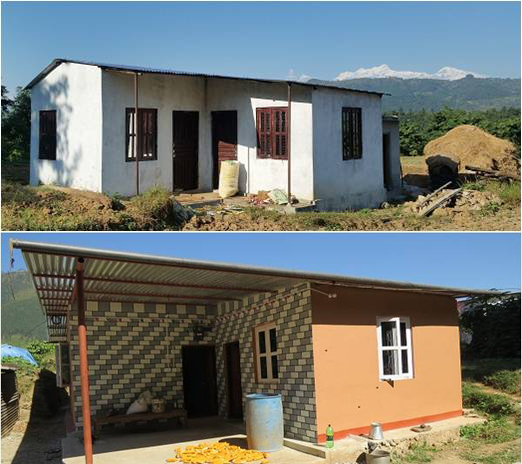 Samples of houses built by the SSIO, Nepal for those devastated by the earthquake in April 2015. Two days of the National Youth Conference and an additional two days in Nepal were sufficient just to get a glimpse of a few service activities that have been undertaken there. But it was enough to convince me of what Swami says time and again - to do service, what is most important is the yearning to do service. Money and material are immaterial. It was with this spirit that they went about building shelters and rebuilding homes for those devastated by the April 2015 earthquake. Medical camps are held with calendar-like regularity and clock-work precision at many Sai centres across the country. Speaking of the Sai Centres, Nepal possibly boasts of the maximum number of Centres after India and USA. 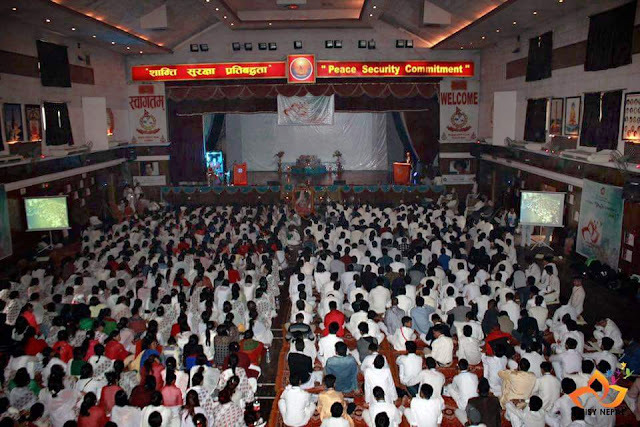 There are more than 210 active Sai Centres and more than 110 of them have separate buildings and premises. All of these have been built by the devotees as an offering of love, without soliciting any funds from any one! The devotees have also constructed a hygienic, well-maintained and free-to-use toilet complex right outside the world famous Pashupatinath temple in the city. 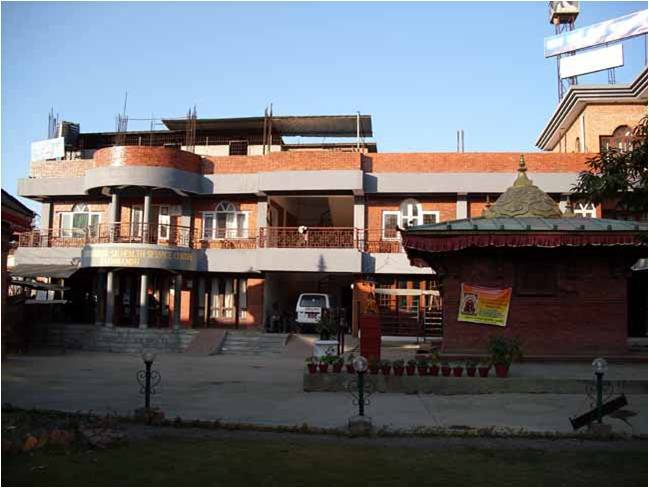 The Sri Sathya Sai Health Centre at Kathmandu (which is one among several such centres) treats about 12,000 patients every year in the departments of General Medicine, Cardiology, Ophthalmology, Pathology, Dentistry and Physiology. 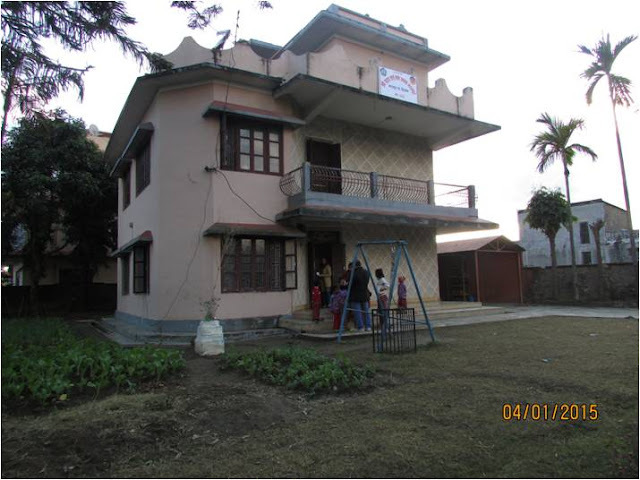 The Sathya Sai School at Pokhara. 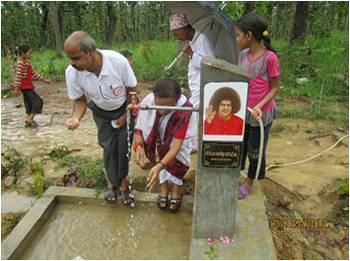 Women volunteers participate wholeheartedly in a community water project. Youthful energies being deployed to dig channels for laying pipes (that run for 8 kms at times) for the Community water projects. A completed water project is a source of joy and satisfaction. Another nice aspect of the service here is that it is tailor-made for the country’s needs. For instance, though Nepal is blessed with rivers galore, thousands of natives who live atop the hills face water scarcity in the summer months. 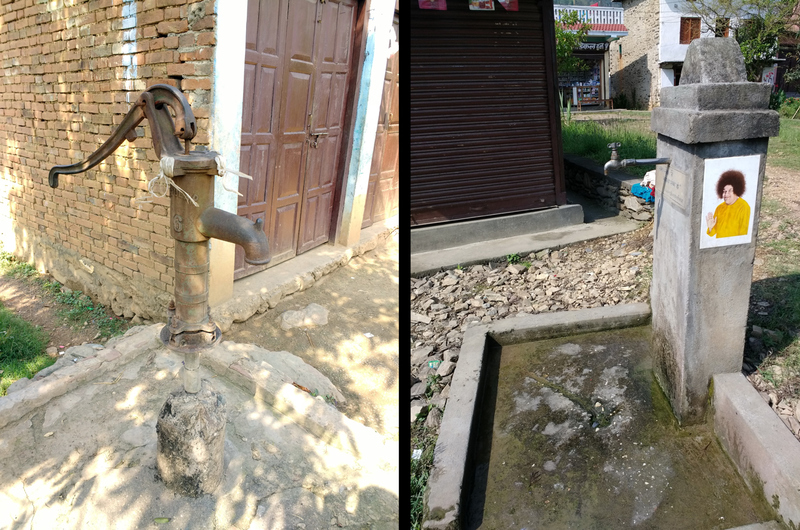 The Organization has tapped into several springs nearby, constructed local reservoirs and provided several villages with clean, piped water. The gratitude of the beneficiaries is evident as they respond with a smile and whole-hearted “Sairam” as we near them. The old pumps which have gone dry in many places have been replaced by taps providing 'Sai Ganga'. The Sri Sathya Sai Vriddhashram is a picture of serenity. Speaking of orphans,I came to know of the incredible tale of a certain Ms. Rashmi Kafle. She had tried desperately to become a student in Swami’s university. When that did not happen, she decided to win His heart by serving Him in the orphan children begging in the streets of Nepal. It is definitely a story for a separate article by itself but this much I will say that she has beautifully touched the lives of more than 150 children and given them hope and love. And she has done all this without soliciting funds! Amazing indeed! (Sister Rashmi Kafle was one of the speakers at the Nepal Youth Conference 2017). Seva is not something to be quantified. When only quality matters, where is the question of quantifiable resources like money coming into play? As Swami says, even if one has nothing, one can serve. One can always make a selfless prayer for the Universe - Samastha Lokaha Sukhino Bhavantu. Finally, we come to a question whether service has alleviated poverty, vanquished disease or wiped out pain in the world. It is difficult to answer that. 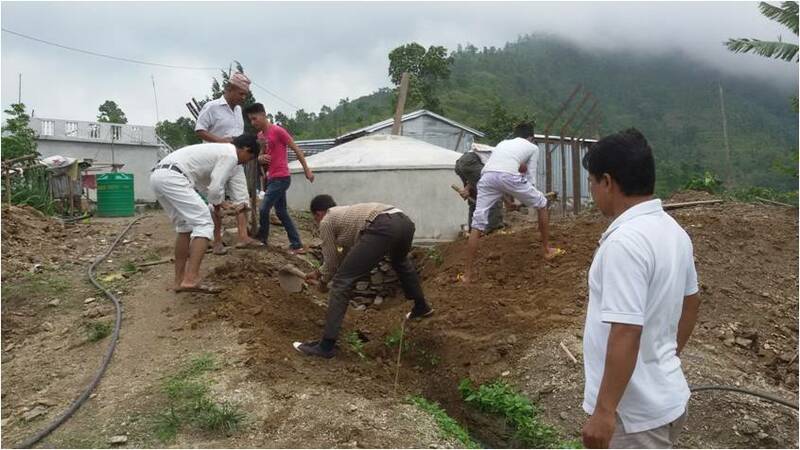 Seeing the need for Seva in Nepal I understood that our Seva may not make a difference to the world at large. 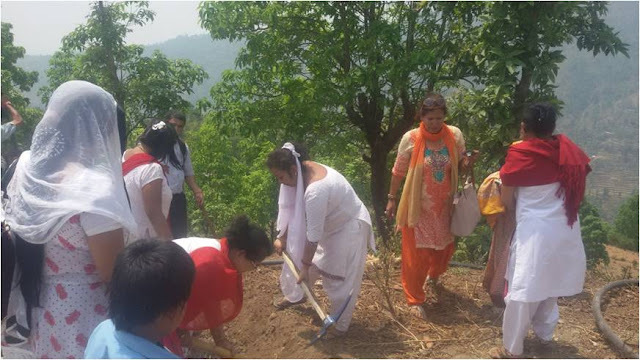 But seeing the impact of the Seva in Nepal, I also realized that Seva makes a world of difference to the one who receives it - and the one who renders it as well! Disclaimer: This is not a comprehensive article. I have tried to share glimpses of the wonderful things I witnessed at Nepal. So happy to read your comment. Thank you. It is my pleasure and privilege to share the love of Swami... Thank you. Thanks for sharing! Beautiful glimpses of Swami. Sairam Aravind, an excellent article on dedication love and service by Nepalese Sairams, thanks for sharing with all. I was in PN for Parthi yatra on 28 & 29 Mar and then for seva from 31 Mar to 10 Apr. Remembered meeting you at your work place couple of years ago. Best wishes and love. Madhusudanvithal Nori. Very Inspiring ...thanks for sharing the divinely experiences of Devotees. Dear arvind, you should have made it in two parts, one your talks, the other what you saw there. I was more interested, as always, in your thoughts, than your sights, though both are interrelated. 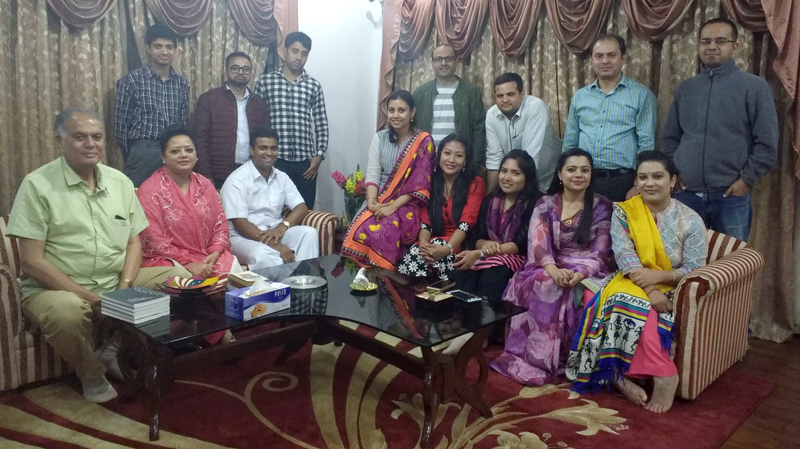 I was in Nepal for a WHO meeting in November 2016 (before proceeding to Prashanthi Nilayam for Birthday) where i met the most beautiful and sincere Sai devotees. One in particular, Sailendra Thapa, gave me the love of a true Brother. Reading your post above makes me realise that he represents a people who are remarkable in their loving service and adoration of Sai Nath Bhagavan. God willing i will return there one day to work alongside exemplars of Sai service in the hope that i become a better sevak of Sai. Thank you so much, Aravind. You are right... I met many more wonderful people -some are in the picture I have posted, a few others are named in the article. You are right. The people are very sweet and loving. Read this article only today. I have been to Nepal earlier and I realise the problems faced by the common people there. Only Swami can alleviate their agony through HIS chosen devotees.